The R6 is a surprisingly uncompromised convergence between smart tech and traditional audio, all at a modest midrange price. The first thing users will notice when using the R6 is its screen which is easily the best I’ve seen on a DAP. Not only does it boast a higher 1280×768 resolution (350dpi), but it has excellent contrast and saturation too. The panel also provided great viewing angles with no colour shift or significant brightness drop-off. Maximum brightness is among the highest I’ve seen, higher than the X7 II and DX200, remaining easily visible under the harsh Australian sun. The touchscreen is also very responsive, not quite as precise as an iPhone or high-end Android, but certainly more so than most Android DAPs. As the screen is the main interface of the device, the R6 is simply a pleasure to use. And beyond the display itself, what powers it can make or break the experience; an example being the Hidizs AP200 whose lag-ridden UI was practically unusable. On the contrary, the R6 is once again exemplary, keeping in mind that these comments are in relation to DAPs, not smartphones. This can be attributed to the implementation of Qualcomm’s Snapdragon 425 which provides a huge leap in performance over the Rockchip RK3188 that powers the vast majority of Android DAPs. To my knowledge, it’s the first DAP to assume this chipset and the benefits to real-world performance are immediately apparent. The R6 zips through its UI with quick animations and smooth transitioning between apps. It feels unburdened by its higher resolution screen or fully-featured Android implementation, unlike other DAPs that forgo Google services to improve performance. I would also hypothesize that Android is more optimised for Qualcomm chipsets as they’re used by the vast majority of smartphones. Combined with a huge increase in raw compute performance, the R6 offers the fastest, smoothest UI I’ve ever experienced from a DAP. The 425 also brings an extended feature set and various optimizations, being based on a vastly newer, more power-efficient process. For instance, standby power draw is much-improved over most Rockchip DAPs and, during use, the R6 managed to just meet Hiby’s 12hr claim, which is highly impressive considering that it has superior power output to Fiio’s X7 II which only manages a modest 8hrs. This can also be attributed to the R6’s large battery capacity at 4000mah. It isn’t unheard of, similar to the DX200 and Echobox Explorer, but it’s a slight bump over the 3800mah Fiio X7 MKII and impressive given how compact the R6 is. The R6 has 32GB of internal storage which is on par with most midrange to high-end DAPs. Storage is expandable via a single micro-sd card slot that supports all available capacities. What most impressed me, however, was the speed of Hiby’s solution, which is magnitudes faster than other DAPs and rivals flagship smartphones. This is a specification that isn’t at all marketable but can have a huge impact on the user experience; especially when updating apps, opening and closing apps and most importantly, scrolling through an extensive music library. In addition, the R6 supports USB OTG, extending to external DAC/AMPs. It provided enough current to power my Cozoy Takt Pro which has no internal battery and draws around 200mAh. The R6 also supports Quick Charge 3.0 which is a little more efficient than 2.0. This enables users to top up its large cell in just over an hour and a half. Of course, DAPs were never intended for multitasking and games, but the R6’s 3GB of RAM, speedy quad-core processor and fast internal storage all ensure that the DAP never freezes as the 1GB Fiio X5 III and X7 could. It also keeps more services alive in the background, most noticeable when streaming music whilst browsing. Another notable aspect of the R6 comes in the form of connectivity, with support for dual-band WiFi and BT 4.0 with Apt-X. This resulted in tangibly faster streaming when compared to the competing models using single band solutions. Ultimately, I can’t say enough good things about the R6’s hardware and user experience. No, it’s not as fast as a flagship smartphone, but it never kept me waiting nor did I experience any instability or hiccups in its performance. That big, vibrant display makes everything pop and the R6’s excellent battery life and WiFi speed ensure a consistently strong experience. Not every DAP maker has the financial power to implement hardware like this so it’s truly remarkable that Hiby are offering such a device at just over $500 from their Indiegogo campaign. The R6 runs Android 6.0 like most midrange DAPs on the market, though a few are still running 5.X ROMs. My unit is running firmware version 0.01G_Beta at the time of review so some of the following comments may be subject to change with future updates. Hiby’s ROM is clean with no bloatware, it’s essentially stock besides an included wallpaper, the Hiby music app and a few utilities. It should be noted that the R6 also runs a full version of Android complete with the play store and services where some DAPs require the user to sideload additional applications. Though immensely flexible with a huge variety of apps and deep customization, running Android does introduce several issues for dedicated audio payers. One notable example is Androids inbuilt sample rate conversion which processes music files and degrades audio quality. While some apps are able to bypass this, Hiby are the first to provide system-wide bit-perfect audio through the use of DTA, or direct transfer audio. And, similar to Fiio, Hiby have baked audio settings into the native Android settings app providing greater convenience than DAPs that place the settings within a proprietary app. This grants users system-wide gain, channel balance and tone control in addition to some subtler DAC filters for fine-tuning to user preference. Hiby also offer some unique settings such as the ability to alter tonality through harmonics; offering the choice of a reference, warm and simulated tube-amp sound. The filter options aren’t as extensive as iBasso’s or Fiio’s, with the choice of minimum phase, fast and slow roll-off. I used the minimum phase setting during testing as it sounded a touch more precise to my ear. Though the player works perfectly fine with other apps such as Poweramp, Spotify and Tidal due to DTA, the native Hiby Music app is very fully-featured. It has a swipe-based UI that feels most similar to iBasso’s music app, however, its animations are slicker and navigation is a lot faster. It has the usual features one would expect; replaygain, gapless, eQ, lyric support and online streaming. I personally appreciate the album art based library navigation and found each menu smooth and without stutter. Scanning for music is also incredibly fast, significantly quicker than any DAP I’ve previously had experience with. However, I feel that MageSound 8-ball will really win over fans. It functions similarly to an eQ, but manipulates frequency range by the intended effect rather than specific frequency ranges. For instance, the menu enables users to alter overall temperature, note thickness and vocal positioning all on variable sliders. It’s a really nifty utility for those unfamiliar with eQ and frequency ranges. Additionally, the R6 keeps the music player service alive in the background when the Hiby music app is closed, a small but easily appreciated feature. The R6 implements two ESS Saber ES9028Q2M Pro chips, one per channel. It’s a nice upgrade over the very popular 9018xxx, and one that has proven to be more balanced in the various implementations I’ve tested; lacking the glare associated with Saber’s previous generation chip. However, though the R6’s dual ES9028 setup may sound similar to the much pricier iBasso DX200, it should be noted that iBasso are using the Pro variant, as does the Fiio X7 MKII (but only one). The Pro was designed for desktop solutions, with a considerably higher power draw and extended features. In an optimal implementation, both can provide similar dynamic range and SNR (and both are excellent), and both chips boast wide file support outlined in further detail on Hiby’s website here. It goes without saying that this is easily among the best solutions available at present, and despite using the portable Q2M variant, Hiby’s implementation is clean and resolving. And like the other 9028 sources I’ve tested, the R6 lacks any middle-treble glare while upholding a high-level of detail retrieval and resolution. Moreover, it retains its technicalities despite lying on the musical side in signature. The R6 implements the 2x OPA1612 and 2x TPA1602A opamps, one per channel. It delivers a very potent 300mW RMS through its balanced output and a still very respectable 120mW RMS through its standard output, both into a 32ohm load. Its TRS output is roughly on par with Fiio’s AM3A, and though it does lack the ability to swap in a more powerful module, its balanced output is 50% more powerful than Fiio’s standard implementation. In use, the R6 has no issue driving IEMs and portable headphones to potential; it even does a fine job powering larger headphones like the HD6XX though they do miss some control when compared to more powerful solutions. Still, Volume is no issue and noise is practically imperceptible, even when listening through the ridiculously sensitive Campfire Jupiter. I did notice some interference when WiFi was active but it’s not hugely obtrusive, similar to the original Fiio X7. Still, it may bother sensitive IEM users who use a lot of music streaming services. This brings us to the main caveat of the Hiby R6, its output impedance. For those unaware, you can read nwavguy’s excellent write-up here, which details all the specifics. The main takeaway is the 1/8th rule which states that the player’s output impedance should be under an eighth of the attached earphone/headphone to avoid dampening issues and signature alteration. At 10 ohms, the R6 can and does have a significant effect on a lot of IEMs, the vast majority of which lie well below 80ohms in impedance. However, single driver earphones are mostly exempt from this rule as most have a flat impedance response. As a result, I found the R6 to perform best with single dynamic driver in-ears such as the Beyerdynamic Xelento and Sennheiser ie800S, in addition to cheaper offerings such as the TFZ King Pro. Its output impedance had minimal, if any effect on their signature and all were rewarded with a spacious, dynamic and well-controlled sound. The R6’s enhanced sub-bass and slight darkness isn’t always the best pair to the generally warmer tuning of these earphones, but it’s still a nicely transparent source aided by impressive resolution. All of the following comments will be using my Custom Art Fibae 2 which also features a flat impedance response. This enables its signature to remain the same between sources of differing output impedance, allowing the individual characteristics of the source itself to shine through. As always, testing will be conducted through an inline switcher and by ear, with all sources mentioned in this review volume matched using an SPL meter. At first, I didn’t find myself captivated by the Hiby R6. This was mainly because my earphone of choice was of a low-impedance, multi-driver design. However, beyond that, the R6 also wasn’t what I was expecting from a Saber 9028 device; it simply seemed to lack some vibrancy and clarity when coming from the Fiio X7 II and the iBasso DX200. However, further critical listening revealed that the R6 is a very resolving source. And though it is definitely more on the musical side of the spectrum, the R6 remains transparent enough to permit wide synergy (when disregarding its OI), the hallmark of a proficient source. To further clarify, the R6 delivers a full sound with a slightly darker high-end. Its sound is very well controlled and extension is up there with the best, delivering both high-resolution and a large soundstage. The R6 is also a little more aggressive in its detail presentation, granting a richly textured sound. Please take into account that, as this is a source device, these are small deviations from neutral that can’t be likened to those between headphones and earphones. The R6 diverges from the analytical sound expected from Saber sources, delivering a robust low-end with a focus on depth and impact. This stems from well-extended and slightly elevated sub-bass that heightens slam, a good match for balanced armature in-ears. In addition, as mid-bass is fairly neutral, the R6’s low-end still sounds nicely transparent and its tone remains neutral; thereby avoiding muddiness and bloat. This style of tuning also grants the R6 a natural bass note size that contributes to its well-separated presentation despite deeper emphasis. The R6 also excels through its tightness and control, producing defined and focused notes. Though decay is a touch longer than more analytical sources, the R6 is impressively dynamic, exceeding most similarly priced DAPs. This is imbued through a combination of its aforementioned enhanced impact, in addition to great separation on account of the Hiby’s excellent mid-bass control and clean presentation. It isn’t a reference source in the same sense as the iBasso DX200, but it’s only a little more sculpted than sources like the Fiio X7 II, which bodes well for the versatility of its synergy. The R6 has a slightly darker midrange with a more laid-back vocal reconstruction. This character can be primarily attributed to two factors; a bolstered lower-midrange that creates a full-bodied presentation, and a slightly attenuated upper-midrange that creates smoother, cleaner vocals. By contrast, the R6’s centre midrange remains fairly neutral in quantity if not very slightly elevated, thereby maintaining pleasing vocal presence. 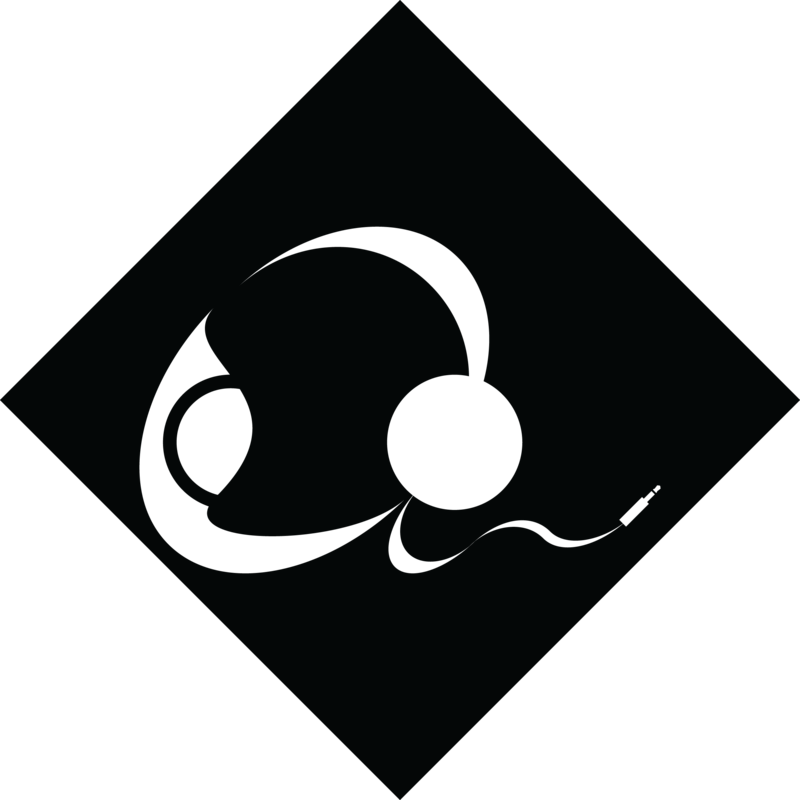 Its slight upper-midrange dip can make female vocals and instruments such as strings sound a little distant though, it isn’t sculpted to the extent of thickness or congestion. As a result, the R6 doesn’t excel with clarity, but it also never sounds veiled due to its higher resolution combined with great space and separation. This also grants the R6 with nice background detail retrieval, so it’s one of the more resolving sources I’ve heard around this price despite not being especially bright or analytical in any way. This style of tuning works in conjunction with a slight lower-treble lift that serves to increase articulation, helping to prevent overshadowing of upper-midrange elements. The product is a source that excels with timbre, sounding very smooth and natural but not explicitly warm. And though the R6 doesn’t bring fine details to the fore like some others, its sound is clean, nuanced and doesn’t grate on the ear over time. The R6’s high-end is well coordinated with its midrange, maintaining a slightly more laid-back presentation prioritising cleanliness over clarity. That said, lower-treble has slight emphasis imbuing energy and articulation into its high-end. And, in addition to being slightly more aggressive in its treble attack, the R6 also retrieves a great amount of detail. Its emphasis is also gradual enough to maintain realistic instrument timbre; guitar strums sound crisp yet richly bodied and strings are delivered with accurate texture. Treble gently falls off above, before extending linearly into the highest registers. This dip into the middle-treble results in a more laid-back presentation, especially with regards to strings. However, it also grants the R6 with a dark background that strongly contributes to its overall sense of cleanliness. Still, the R6 has audibly muted sparkle and shimmer which may not please lovers of Japanese or Korean music. That said, the R6’s excellent extension contributes to its high resolution, and the Hiby is ultimately a very composed and well organise DAP; excelling with all levels of mastering quality through a combination of excellent detailing, resolution and control. The R6 has a spacious stage with especially impressive width. It’s clearly more open and layered than the Fiio X7 II but lacks a little depth compared to the pricier iBasso DX200 w/AMP5. This can partly be attributed to its laid-back high-end that emphasizes its sense of space, though its fullness also provides density to its layers. As such, I find the R6 to provide very convincing imaging; its natural body and expansive stage dimensions working in unison to provide coherence while maintaining separation. Separation, in particular, is quite standout as the R6 has zero glare and well-considered tone throughout. Combined with its cleanliness, every frequency range remains well-delineated and defined. The balanced output has two and a half times the output power of the regular TRS output but drops runtimes from 12hrs down to 7hrs. It’s using the same amp chips as the regular output so don’t expect huge changes apart from a slight increase in volume. I used an SPL meter to ensure both outputs were as similar in volume as possible when ABing, and subjectively hear some differences between the two. Through balanced, I experienced a slightly deeper bass response with greater impact. It also has a different soundstage presentation that sounds larger, most notably with regards to width in addition to increased separation. That said, I don’t feel that its presence hasn’t compromised the quality of the regular TRS output. Although the R6 is undoubtedly a very nice sounding DAP within its tier, its output impedance does create inconsistency between earphones. As the effects can vary on a case by case basis, I’ll provide comments on the Hiby’s output impedance using a variety of driver types and impedances. Comments will be relative to the Fiio X7 MKII (OI <1.2ohms) with which I am most familiar. Beyerdynamic Xelento (16ohm, dynamic): The Xelento is a resolving low-impedance dynamic driver earphone. It has excellent synergy with the R6, benefitting from strong dynamics and a spacious, separated stage. Actually sounds a little more balanced due to improved control, especially with regards to bass. More transparent midrange. TFZ King Pro (55ohm, dynamic): Not overly affected, slightly darker and fuller in line with impressions through the Fibae 2. Nice synergy, a little more bass depth, clear mids, a little more natural. High-end is very detailed, nice shimmer and extension. Spacious stage. Noble Audio Katana (~20ohms, 9-driver BA): Potentially terrible pairing given the Katana’s driver count. However, its slightly higher impedance lends it well towards the Hiby as does its brighter signature (subjectively). Bass lacks a touch of extension but the R6’s sub-bass lift well compensates. Upper-mids become notably more laid-back as do highs. Still plenty of crispness, even sounds a bit cleaner due to smoother middle-treble. Similar resolution and larger stage dimensions. 64Audio U6 (22ohm, 6-driver BA): I experienced similar signature changes to the Katana; noticeable, but not destructive. Most notable was the R6’s more laid-back female vocals, slightly more aggressive lower-treble and cleaner background. Resolution remained high as did bass control. I did miss a little air and clarity up top, but the R6 sounded appreciably more spacious due to its more laid-back presentation and equally strong extension. Hyla CE-5 (8.9ohm, 4-driver hybrid): The Hyla is very source sensitive, providing a worst case scenario. Immediately skewed signature, considerably darker and more veiled. Bass is dominant and bloated, lacking control. Mids are smooth but more recessed and highs sound very muted and distant. Notable drop in volume. The CE-5 was unlistenable from the Hiby. Shozy Alien+ ($450): The Alien+ represents the complete opposite of the R6. Its UI is completely archaic with just the bare essentials, especially when compared to the slick, fully-featured Hiby. And though navigation is quick on the Shozy, its very limited file support makes it feel like a DAC/AMP with inbuilt GUI over a DAP; and using the Alien+ as a USB DAC does mitigate most of its functional shortcomings. Physically, the Alien+ is basic and with sharp edges, but there’s a nostalgic beauty in its simplicity. It’s as compact as the R6, but its control scheme requires some practice. The Alien+ has a very short battery life of 6hrs, just half that of the R6. This is because the Alien+ delivers 24V to its audio hardware intended for desktop designs. As such, it’s in listening that the Alien+ excels. It has a similar signature to the R6 but is a little more subtle in its sculpting, providing greater balance and transparency. The R6 has slightly more sub-bass slam while the Alien+, though still slightly more impactful, is more neutral in its low-end, sounding cleaner as a result. Both DAPs are slightly laid-back in their midrange presentation, the Alien+ less so. I also found the Alien+ to provide a touch more clarity and it’s more neutrally bodied than the R6. The Alien+ is also slightly more aggressive in its lower-treble, but it’s more detailed than the Hiby. Both extend very well, the Alien+ provides a touch more resolution than the R6. The R6 has a larger soundstage, and its more laid-back midrange and high-end contribute to this. I find the Alien+ to image better where the R6 can push vocals too far to the side. The Alien+ has greater separation due to its greater overall balance. Though not stated on Shozy’s website, I estimate the Alien+ to have a very high output impedance. It actually sounded less balanced than the R6 when listening through the Hyla CE-5 (my most source sensitive IEM). Apart from this, its amplifier is the best I’ve heard from a DAP; with 5 gain levels, zero background hiss and terrific control. The R6 lacks the same power, but surprisingly, it’s actually more consistent between earphones and almost as clean when WiFi is off. So though the Alien+ is undoubtedly a terrific sounding DAP, it’s also fairly inconsistent with multi-driver IEMs and its UI is generations behind the R6. That said, its exceptionally powerful amplifier makes it the clear choice for headphone users. Echobox Explorer ($599): The Explorer’s very traditional wood flask design is hardly sleek but fits very comfortably in the hand due to its very rounded back. It runs Android 6.0.1 but, despite being considerably thicker than the R6 and similarly sized, it has a much smaller 3.5” display that can feel a little cramped. Still, its touchscreen is responsive as is its UI, though it still doesn’t feel nearly as slick as the R6 despite being functionally gimped with no play store or services. Finally, it has a very tactile top-mounted volume wheel which doubles as a power button in addition to a beefy 4000mah battery. The R6 still manages considerably better battery life at 12hrs as opposed to 7-8 in my uses. Like, the Alien+, its sound does a lot to redeem its functional shortcomings. It’s also a more musical sounding source that lies on the slightly fuller, more engaging side. The Explorer has a light bump in its sub-bass, though it produces a touch less impact than the similarly sub-bass emphasized R6. Bass is otherwise slightly more articulate on the Explorer due to its more aggressive lower-treble. Mids are slightly laid-back on the Explorer but more balanced than the darker R6. Its female vocals are a little more forward with slightly greater clarity. The Explorer has a more aggressive lower-treble, it’s very detailed and brings those details to the fore more than most DAPs. The R6 sounds smoother and more refined as a result while the Explorer is more articulate. The Explorer images quite well though its stage is smaller than the R6’s. Both are well separated. The Explorer is another DAP that I would surmise to be better suited for headphones over IEMs. It has a very powerful amplifier, outputting as much current through its 3.5mm out as the R6 through its balanced output (though the Explorer has no balanced output). However, it also has a high noise floor, with immediately audible hiss on all of my in-ears. It also appears to have a higher output impedance, in fact, it’s very possible that both DAPs are using the TPA6120 (10ohm OI), something that has been confirmed on various Japanese forums online. As a result, both tend to have a considerable impact on low impedance multi-driver in-ears. Fiio X7 MKII ($650): The R6 is considerably smaller despite having a larger battery and screen. It’s more rounded design is more comfortable to hold but also a little slippery. The R6’s UI is much faster and its screen looks a lot better, it’s also running Android 6.0 as opposed to 5.1.1. I appreciate the move to USB Type-C on the Hiby and it offer 50% longer runtimes on each charge. The main advantage of the X7 MKII is its dual micro-sd card slots and some may prefer its volume wheel over separate volume buttons. The X7 II also has swappable amp modules which enable more flexible driving power and noise though at an additional cost. Sonically, the DAPs are more quite matched. The R6 has greater sub-bass impact while the X7 II is a hair fuller in its mid-bass. As such, the R6 sounds a bit cleaner and more defined within its low-end despite being more impactful. The R6 has a darker midrange with a more laid-back presentation while the X7 II has greater clarity and transparency. The X7 II and R6 most diverge in their higher frequencies, the X7 II has greater air and sparkle while the R6 is a little more aggressively detailed before gently sloping off. As such, the R6 sounds cleaner but also less immediately revealing. Still, both extend well, producing similarly high levels of resolution. The R6 actually has a slightly larger stage which is compounded upon by its more laid-back presentation. The R6 has a more separated low-end due to its cleaner mid-bass and its high-end sounds more composed. It images better than the X7 MKII. The R6 produces less background hiss than the X7 II but produces slightly less volume through its unbalanced output. On the contrary, the R6 suffers from some interference when WiFi is active while the X7 MKII has none. Of course, the X7 II is a lot more consistent due to its vastly lower output impedance. iBasso DX200 ($870): On a hardware level, the R6 feels appreciably more refined. Though both have the same screen size, the R6 occupies a far smaller footprint. And, despite the DX200 using an octa-core processor and a stripped down version of Android 6.0.1 with no play store or services, the R6 feels more responsive; possibly due to the rather insensitive digitizer on the iBasso. The R6 also has a far better screen and its battery life is slightly longer. I appreciate the move to USB-C on both, interestingly, the DX200 has a top facing port. The DX200 has fairly tactile controls and a nice clicky volume wheel that some may prefer. The DX200 uses 2 ES9028 Pro chips as opposed to the Q2M variant on the Hiby. Despite this, the difference in sound quality between the two isn’t enormous though the DX200 is more akin to the X7 MKII in signature than the musical R6. The DX200 has a more linear low-end, the R6 producing slightly more sub-bass by comparison. It sound has a hair more texture and definition but isn’t quite as separated. The DX200 has a fairly neutral midrange too, with just a slight bump in lower-mids using the AMP5 module. By comparison, the R6 is more laid-back. The DX200 is slightly more detailed though its treble has slightly less attack than the Hiby. The DX200 is also more balanced within its high-end, producing more air, though it also doesn’t sound as clean as the R6. In terms of soundstage, the DX200 has more space and images slightly better with greater detail in its outer layers. That said, the R6 does sound more separated and its cleaner background is easy to appreciate. Like the X7 MKII, the DX200 has swappable amp modules, providing more flexible driving power with different gear. It produces impressive output power for a DAP; though it should be noted that my unit came equipped with the AMP5, not the stock AMP1 module. Neither produce much background noise, though the DX200 doesn’t have any interference with WiFi activity. This isn’t an issue specific to the R6, Hiby have just been transparent about it; though that still doesn’t exempt the R6 when similarly priced DAPs like Fiio’s X7 MKII offer a far more versatile 1ohm output impedance. Of course, it doesn’t affect all gear, and not all changes are necessarily negative; OI issues are also easily alleviated using iFi’s IEMatch or Earbuddy. Still, this is a blemish on an otherwise fairly immaculate canvas. Because, beyond its polarising synergy, the R6 is musical, natural in timbre and spacious. At the end of the day, it doesn’t change the fact that Hiby have created something wonderful; a surprisingly uncompromised convergence between smart tech and traditional audio, all at a modest midrange price. Onr heck of a review. Dang! In terms of signature, I actually prefer the X7 II the most. The DX200 is more detailed and spacious, but it can be too mid-forward (w/AMP5). The R6’s output impedance is not ideal, but I can see some preferring its smoother, darker sound as some find the Katana to be quite bright. It depends what you’re looking for, but feel free to ask any more questions on your mind! Great review! Do you think the TFZ King Pro or Simgot EN700 Bass pairs better with the Hiby R6? Thanks Kai! It’s still balanced enough to suit either. If I had to go by tonal balance, I feel the R6 better compliments the King Pro. Have you tried the King Pro on balanced mode with the R6? How does it compare in the unbalanced mode? Is the hibby r6 any better . What problem are you having specifically? I haven’t had any issues running my USB DACs from my DX200, I tested both powered and un-powered and they all worked just fine. Honestly, I don’t think the DX200 needs an external DAC anyway, it is a very, very good source on its own, better than almost every sub $1K DAC I’ve heard. If you want a transport, it would be better to invest in something smaller and cheaper like the Fiio M7 or Shanling M0. You shouldn’t be experiencing timing issues as the external DAC should manage that. They should sound very similar between sources if not identical. I don’t find the R6’s headphone output to be superior to the DX200 in any way and its output impedance will likely be a larger issue than any benefit in speed. That said, its UI is incredibly good as is its screen. The R6 also has zero noise, but again, this is due to that high output impedance, please read up on this and consider it strongly if you intend to use the integrated headphone output. If you want to keep using the xDSD, the R6 is a better choice as its UI is smoother and its design is more portable. The DX200 has the best audio output, it sounds better than the xDSD imo. If you’re comfortable selling the xDSD then the DX200 is a great all in one. Hi so what can i do to remedy my usb dac problem with my dx200 .thats the only reason i am considering the hibby and i will be using headphone of 45 ohms and greater so am i right in assuming the high impedence of r6 will not affect my sound . Anyone use Shure 846’s (9 ohms) with the R6?